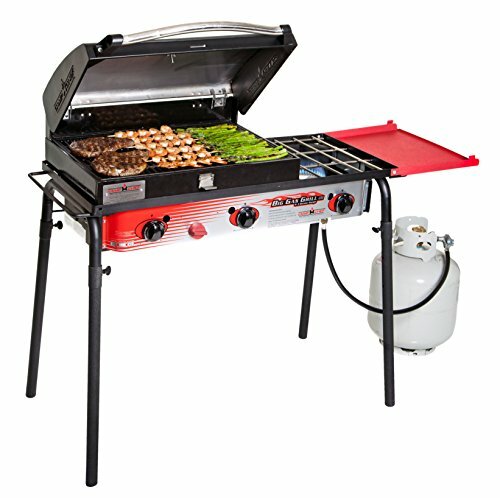 B-7841_WY Features: -Two individual burner stoves on stand with separate heat control burning up to 55000 BTU. 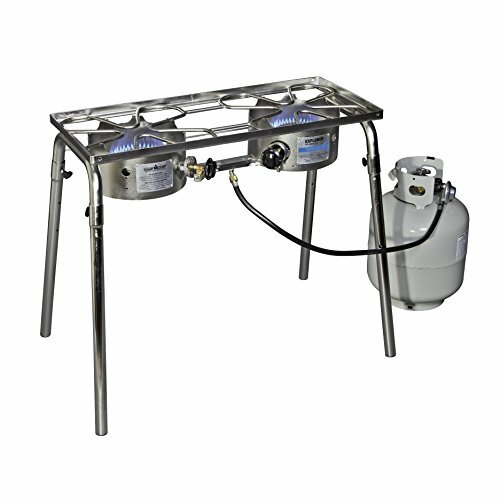 -High pressure regulator, hose, and connector included. -Stand has detachable legs for easy storage. -Capable of supporting two 60 qt stockpots. -Double burner will need manual lighting. -Heavy duty cast iron. 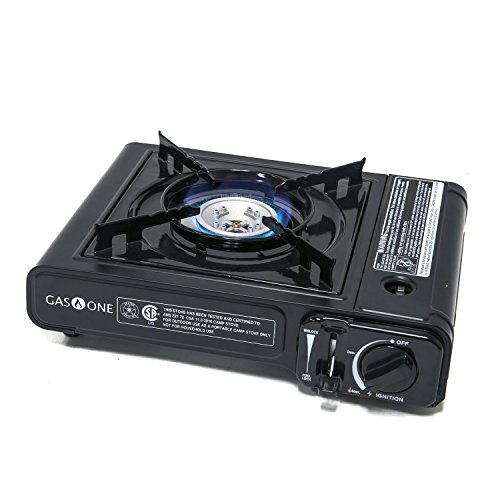 Product Type: -Double burner. Material: -Cast iron. Finish: -Black. Pieces Included: -Burner. 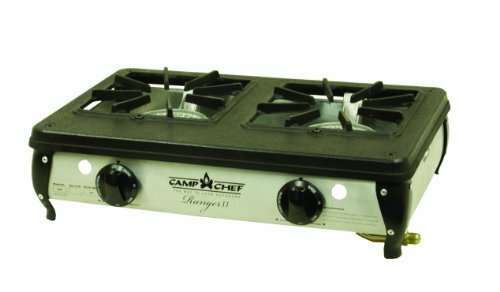 Dimensions: -Each stove has approximately 15" space. Overall Height - Top to Bottom: -29". Overall Width - Side to Side: -31". Overall Depth - Front to Back: -16". Overall Product Weight: -30 lbs. 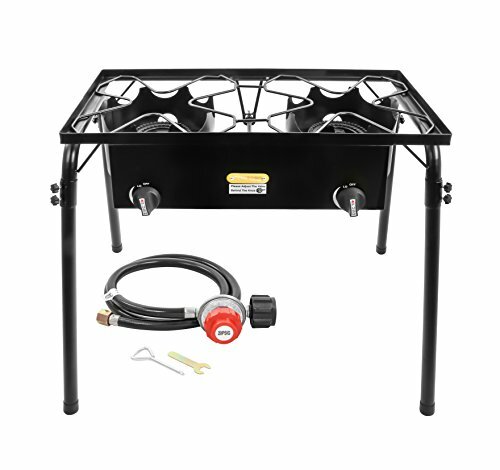 Great for outdoor cooking, this double burner patio stove / range is the perfect addition to backyard barbecues and picnics. 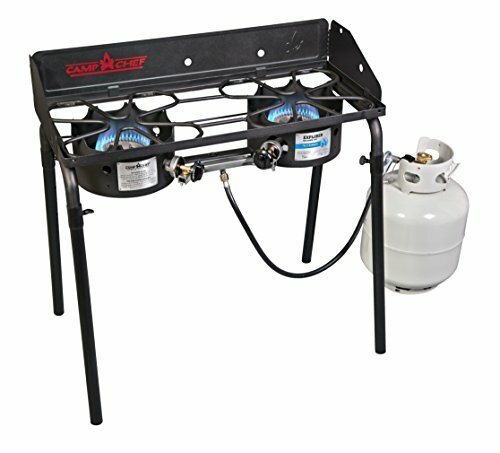 Each liquid propane burner provides powerful cooking power for a variety of applications such as frying a turkey or steaming corn-on-the-cob so you can prepare all of your summer favorites with confidence and ease! 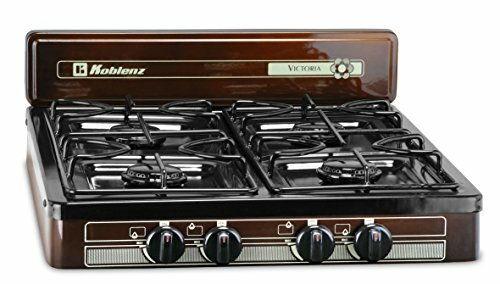 With two generous 13" x 13" cooking surfaces and 55,000 BTU provided by each burner, you can efficiently heat water for steaming, bring oil to the perfect frying temperature, and cook your favorite stews and sauces. Two removable shelves provide a great resting place for tongs and platters. Plus, the shelves fold over the burners for a space saving storage option that also protects the burners from the elements when they're not in use. 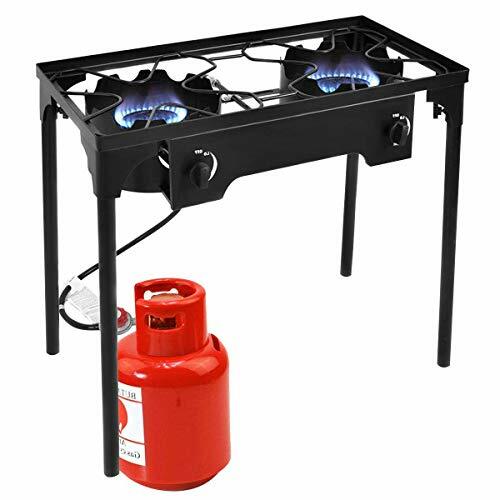 Built to last, this stove / range features a durable, one-piece welded steel frame. 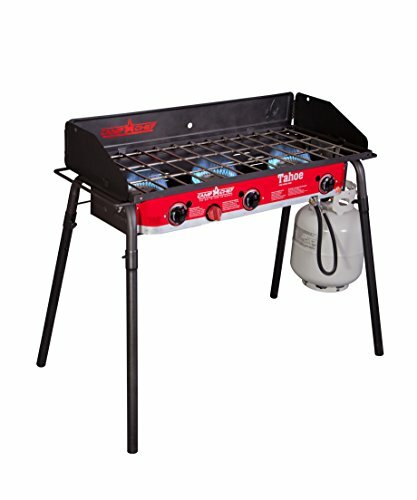 Each welded section contributes to the overall stability of your frame for a reliable and secure cooking range. 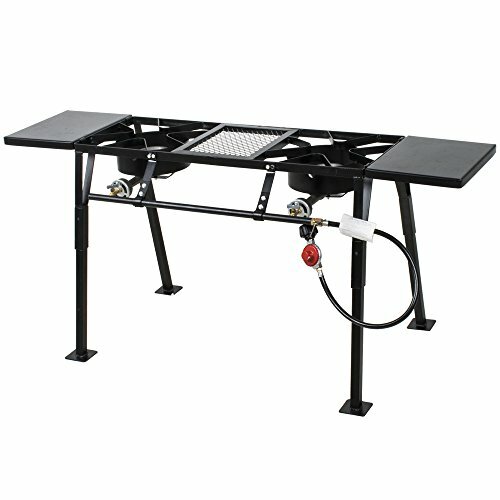 You can also adjust the frame's height from 12" to 25" with the included extension legs to accommodate your needs.